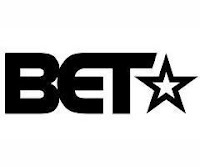 Black Entertainment Television (BET) will salute the work of entertainers on its new awards show on Feb 22, 2008 at 8 pm. "The BET Honors" will recognize Alicia Keys, Tyra Banks, Cornel West, Richard Parsons, Congresswoman Maxine Waters, Janice Bryant Howroyd. The show will be taped live on Jan 12 at the Warner Theatre in Washington, DC. TYRA BANKS - Tyra Banks is a supermodel, host and judge of the reality television show America's Next Top Model, and is currently hosting her own Daytime Emmy Award-nominated talk show, The Tyra Banks Show. JANICE BRYANT HOWROYD - Janice Bryant Howroyd is the chairman, chief executive officer and founder of ACT*1, a personnel servicing company that provides staffing, human resources and management solutions to Fortune 500 companies in many industries. ALICIA KEYS - Alicia Keys is a Grammy Award-winning R&B and soul singer, songwriter and pianist, who has sold more than 25 million records worldwide. RICHARD PARSONS - Richard Parsons is Chairman of the Board and Chief Executive Officer of Time Warner Inc., whose businesses include filmed entertainment, interactive services, television networks, cable systems and publishing. It was recently announced that he will be stepping down as CEO on December 31, 2007, but will remain as Chairman. CONGRESSWOMAN MAXINE WATERS - Congresswoman Maxine Waters (D-CA) was elected in November 2006 to her ninth term in the House of Representatives, serving the 35th District of California, which represents a large part of South Central Los Angeles, the communities of Westchester and Playa Del Ray, as well as the diverse cities of Gardena, Hawthorne, Inglewood and Lawndale.